Don't let the fact that this nice young lady is possessed by a demon, and possibly the devil himself, bother you. Because everyone deserves a good "forever" home, no matter who controls their soul. Sure, she might be a little messy (you might have noticed the green stains on the nighty... but we promise it's just pea soup! ), but little Regan McNeil is a real live wire. She's really talkative and likes to sing (though she only knows the "Tubular Bells" theme from The Exorcist, and only speaks in quotes from the movie). 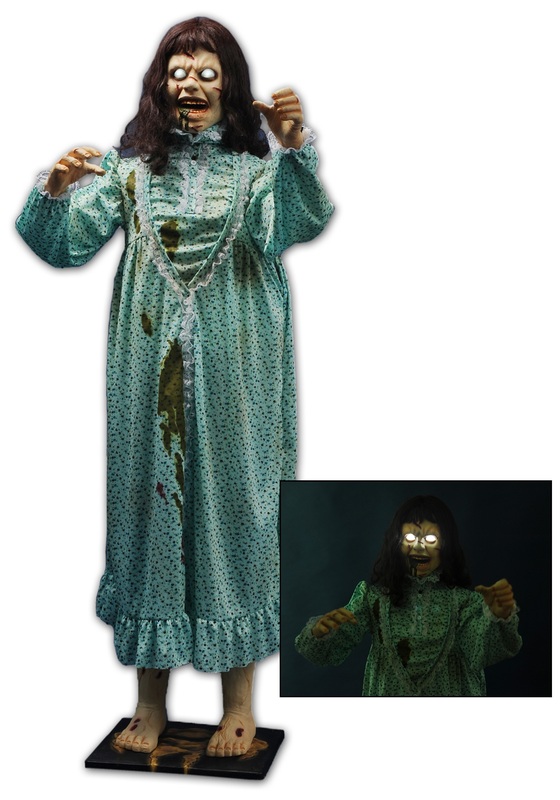 So let her into your home... and your heart... by making this Exorcist Lifesize Regan part of your home decor! Nothing says "conversation starter" quite like this head-turner of a statue, which stands five feet tall. And we mean the "head-turning" part literally. 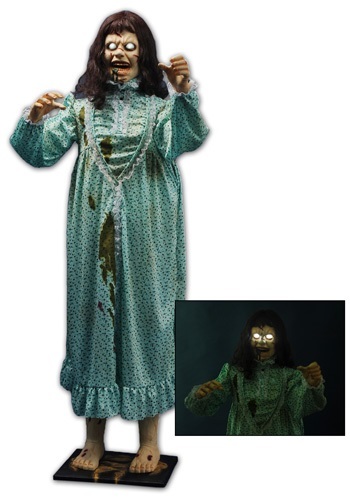 Because Regan's head spins around just like Linda Blair's did in the movie, and the eyes light up for a terrifying glow-in-the-dark effect. And once your friends are done being terrified, they'll enjoy hearing quotes and music from The Exorcist come out of this creepy-as-heck statue. We recommend putting it in the guest bedroom when you have company over... they'll love it!